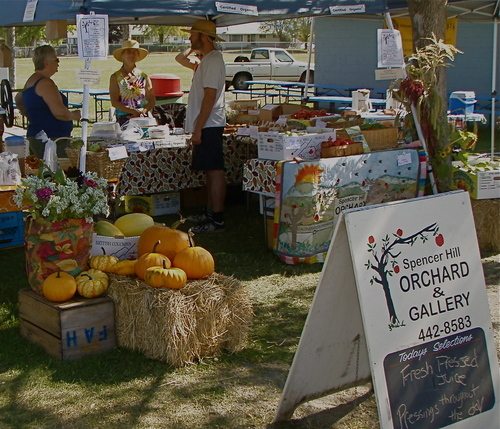 The 2010 Season at the Spencer Hill Orchard will be featuring all things related to food in the gallery. 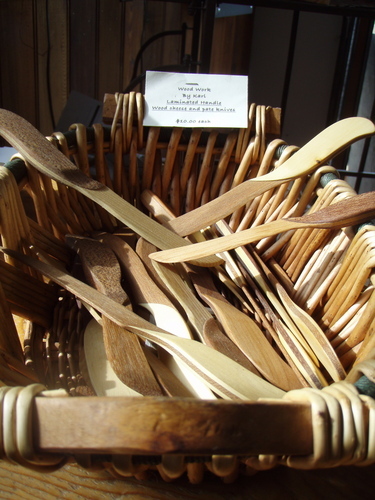 Karl's wood work will be a special feature, with finely carved wood cheese knives and boards. All artisans will be welcomed to add to this celebration of food and the pleasure we seek with food! We are ready for you to stop by and experience a working organic orchard. Come and see what is happening - enjoy a fresh snack or light refreshment- with our own garden and valley food, and wander! Check our 2010 seasons hours..
we have dedicated days for farm tours and gate sales. Our event schedule is shaping up - the Can Can Dancers will be with us again- August 13 and 14 for The Cowboy Night. 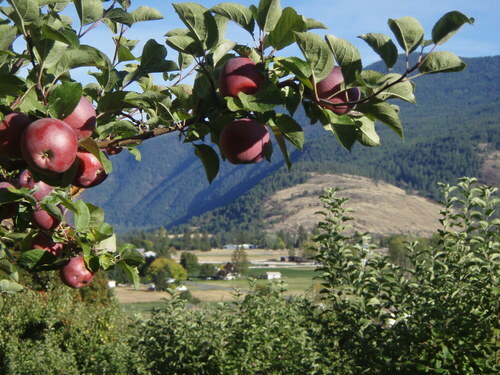 We are certified with BC Agritourism and our produce is Certified Organic. We welcome people into our working orchard for tours and education on organic practices, apple lore, and the agricultural history of the area. 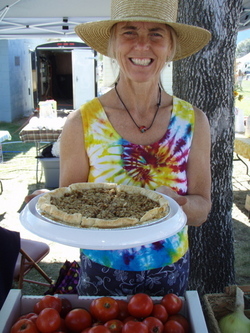 Tours include pie with refreshment. We would love to hear in advance if you would like a tour with us. Tours available at any time - open hours preferably - and call ahead for our closed days- we will be here - working in the orchard and market garden- but would be thrilled to show you around. Special rates available for school groups. the birds are in abundance.. hawks circling overhead in the heat of the day ..
our resident California Quail - call and laugh at us working way too hard! The Land gives back to us as we nurture it, celebrate it and give thanks to the results. The Market Garden gives an abundance, our garlic will be harvested in early August and we have 5 varieties sell. Cherries begin in late June- early July, then our early stone fruits in early August- apricots, plums, early apples. And in September we are in full harvest mode.. with everything ready to go- from the orchard and market garden. Come and experience this bounty with us!! 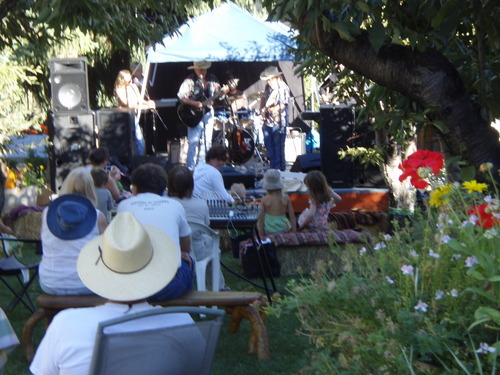 Sundays - 2- 8:30pm and join us for "Music in the Orchard" from 7:00pm. Bring a donation for the musicians.